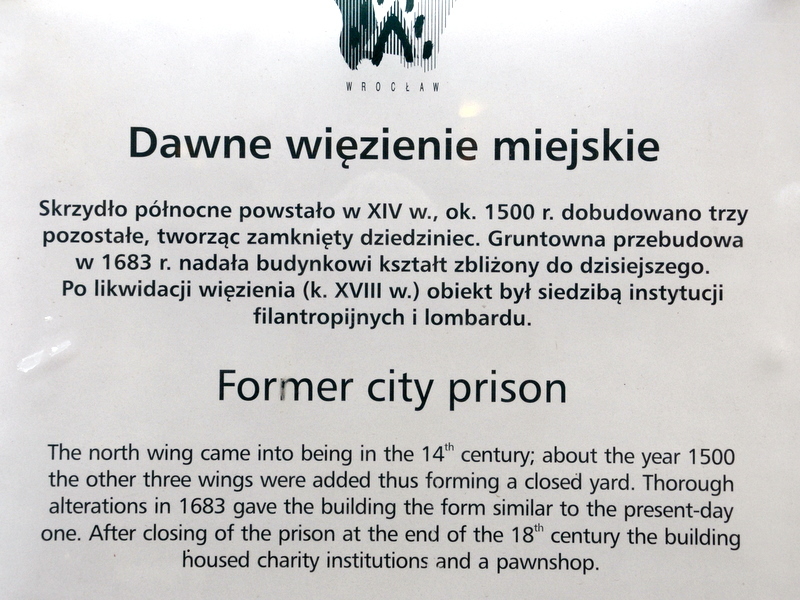 Close to Wrocław’s city square is the former city prison. Built in the 14th century and further expended a century later, it served the city until closure in the late 1800’s. Since then it housed anything from pawn shops to charity institutions, currently housing Wrocław’s Archeology Club. 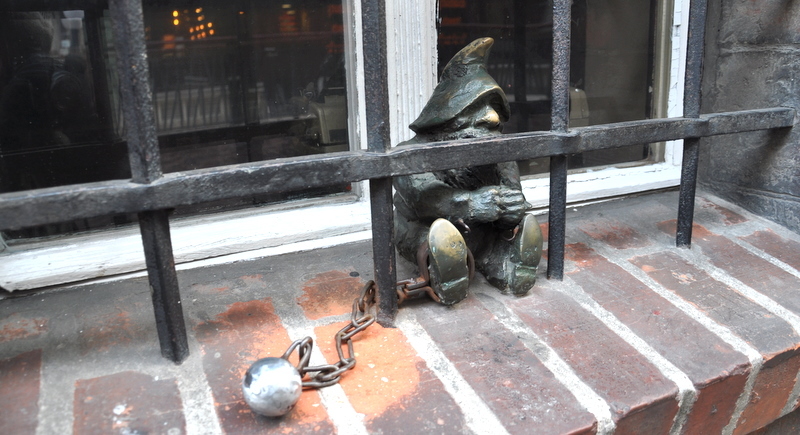 The ‘jail gnome’ outside is probably one of the saddest gnomes around Wrocław.